Opengear designs, manufactures and delivers the most feature rich, cost-effective and flexible solutions for secure remote infrastructure management. Opengear smart appliances enable companies to access and manage their mission-critical systems and virtually any device on their network, remotely and securely from anywhere, even if the network is down, to improve efficiencies and maximise business continuity. Providing dedicated cellular out-of-band management solutions to all major verticals, Opengear’s console servers, remote management, monitoring and cellular out-of-band products have built-in functionality that lets you keep tabs on mission-critical IT infrastructure from anywhere via 3G or 4G LTE networks. 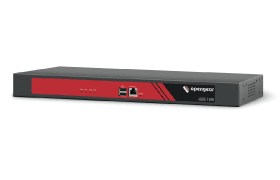 Opengear 3G/LTE console servers all support Failover-To-Cellular combining F2C and Smart OOB™ to meet IoT demand for always-on availability and minimised network downtime.